Hey everybody! Sorry for the late and somewhat lame post last night. I was watching "Titanic" with my husband (his idea!). It was the first time I've seen the entire thing and I'll admit, it was pretty good and brought tears to my eyes a couple of times, but it was kind of like the movie/disaster that would never end! Anyway, here it is! The last part in the set of my Crib Set Extravaganza! Not PartI (sheet), not PartII (skirt), but Part III! 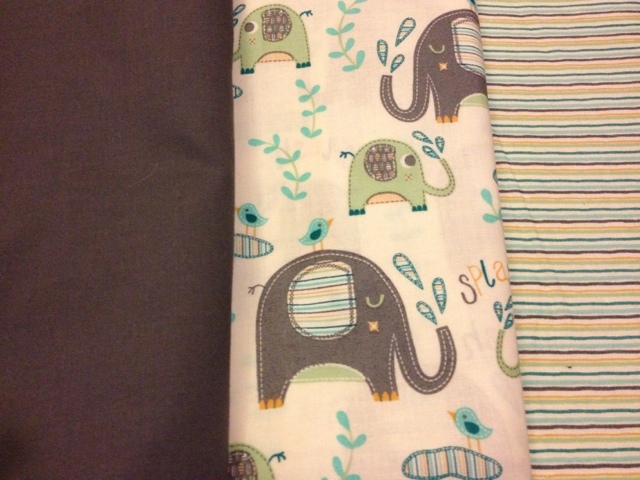 Short side panels - 27.5x9"
Short back panels - 25.5x9"
Long front panel - 52x9"
*Add 1/2" for a 1/4" seam allowance (or more). 2. 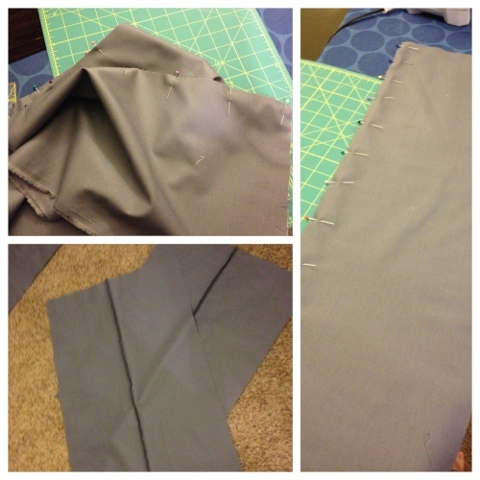 Make sure your fabric is folded in half. 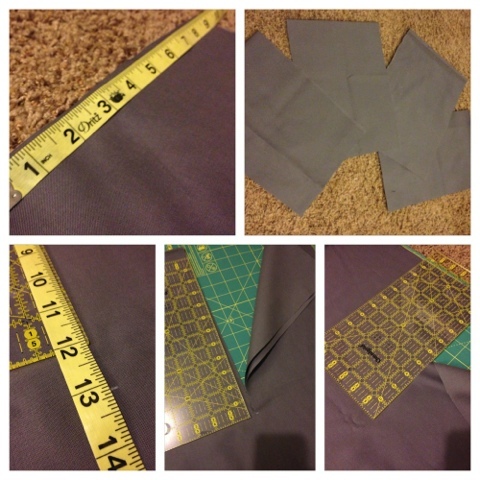 Measure and cut out your short back panels first. 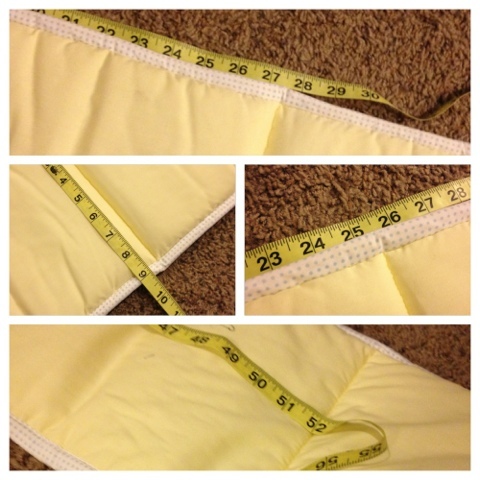 Measure 9.5 inches along the fold. Make a mark. Measure 13" down and make a mark. Repeat three additional times (you'll end up with four panels for the short back panels). 3. Now you will cut the long front panels. Just below where you cut out the first four panels (not on the fold line! 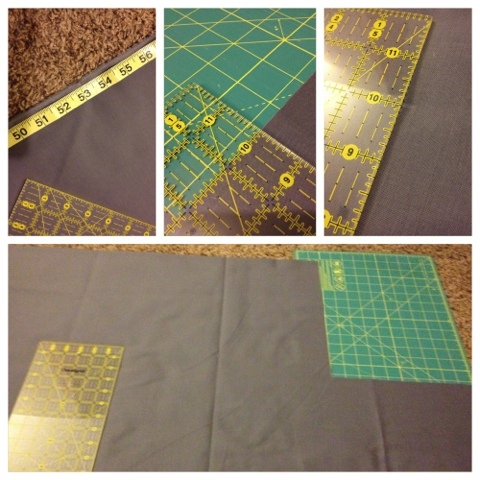 ), measure 52.5" along the bottom of your fabric (opposite your fold line). Measure 9.5" from there and cut out the long rectangle. I had 10" of length so I just cut it to that instead of 9.5". 4. 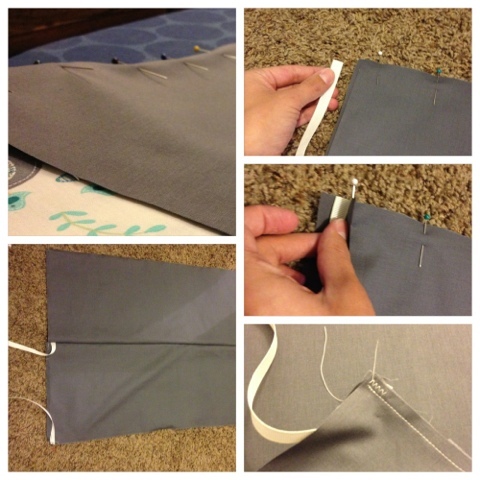 Cut the short side panels along the fold line, just like you did for the short back panels. 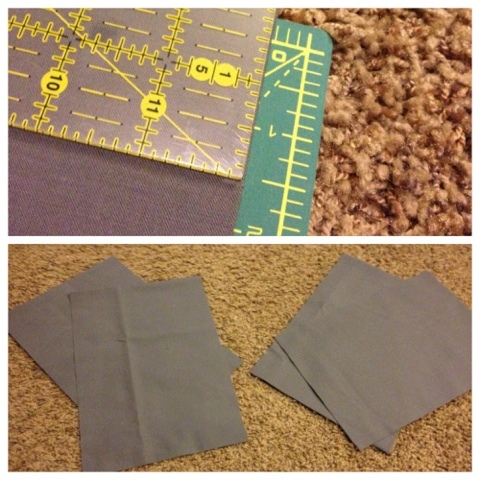 Measure 9.5" along the fold line. Make a mark. Measure 14" from 9.5" and make a mark. Cut out rectangular short panel. Repeat these steps 3 more times to end up with four. 6. 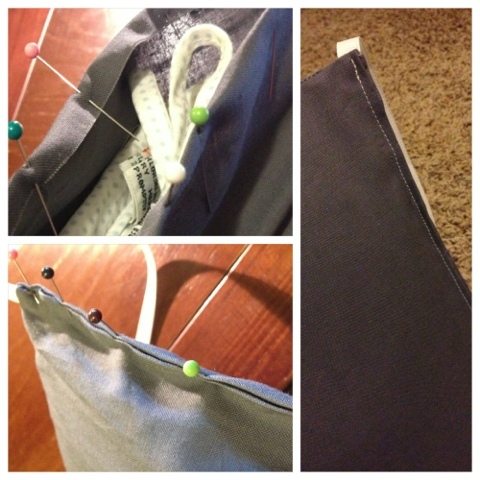 Find two of your short back panels and pin them right sides together. Make sure you pin a piece of 11" ribbon there, too. If you pin it just like I did in my picture, you will get it right. It looks like you're pinning the ribbon in-between the two panels because you are! Once you turn your panel right-side-out, you'll see it correctly. 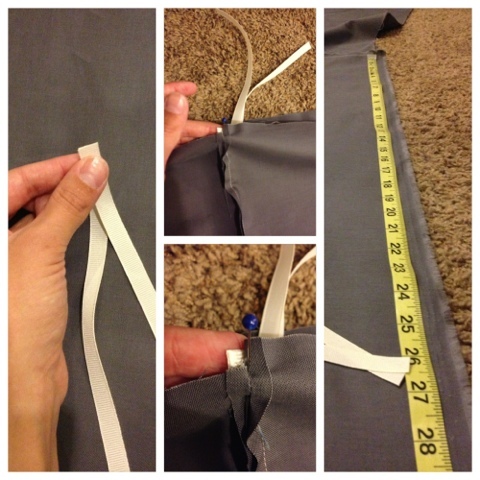 Straight stitch along the entire length of your panel. Make sure you zig zag at the end where the ribbon is to reinforce it! And make sure you pin your ribbon in 1/2" so when you fold the edge over at the end for the hem, your ribbon won't get lost. Don't accidentally sew over the ribbon where you're not supposed to! Move it out of the way. Now repeat with the other two pieces of the short back panel. 7. 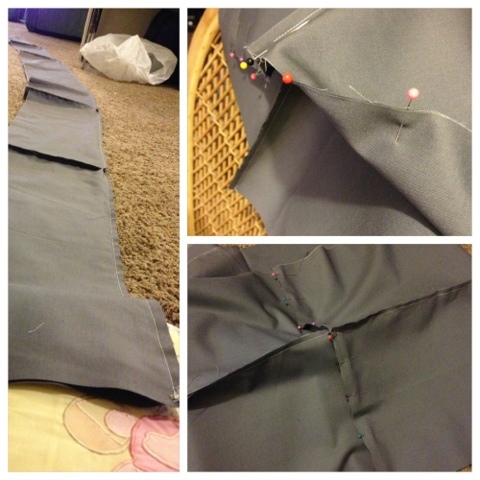 Pin the long sides of the long front panel right sides together and straight stitch. 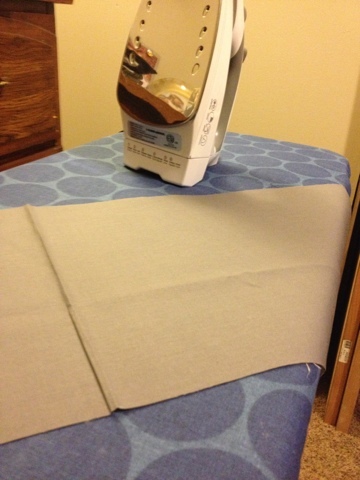 You are sewing the outside of the bumper pad to the inside. This time, you don't have to do a zig zag stitch because your fabric is on the inside so you don't have to worry about fraying! Do the same with two of the short side panels and the short back panels. You will now have 5 panels. Two short side panels, two short back panels, and one long front panel. 8. So far so good? Now it's time for the lining up! 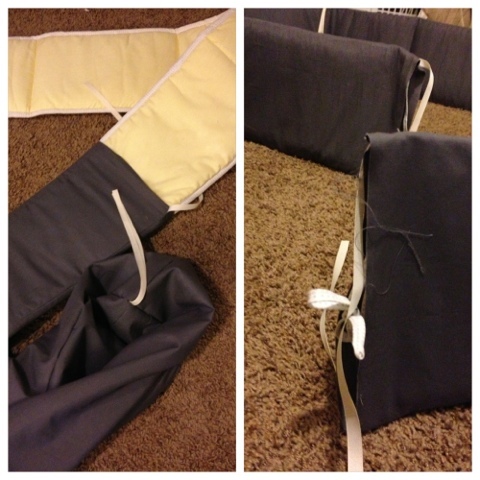 Pin the short side panel (right sides together) to one end of the long front panel. Pin the other short side panel to the other end of the long front panel (rst). Pin the short back panel to one of the ends of the short side panel, and the other short back panel to the other end (rst). Make sure your ribbons are on the very ends of the entire bumper pad. Straight stitch at each point where you pinned and try to get the seams that you've already made to line up and lie open ("lie open" is reffering to the edges of your fabric to lie open, or not touch each other, make sense?). 9. Time for ribbons! 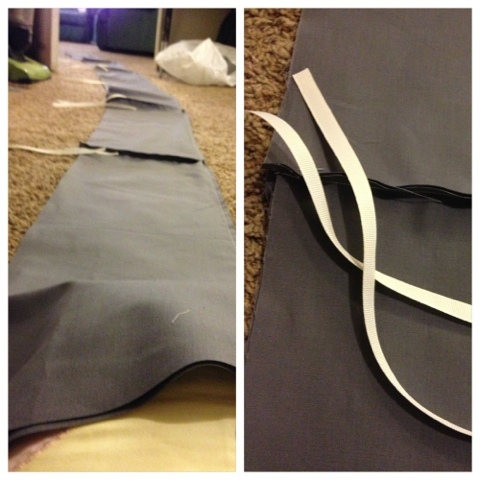 Besides the two you've already cut out and sewn to your bumper pads, now you need to cut out 12 additional 11" ribbons. 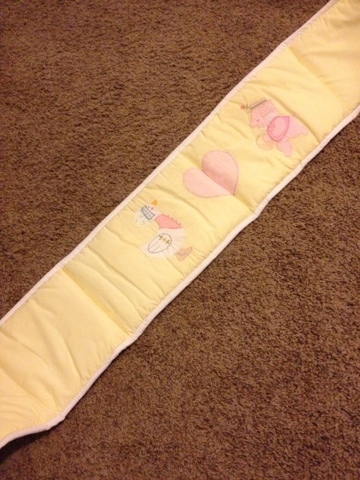 Pin two ribbons at the top of your bumper pads at each corner of your crib bumper pad and two smack dab in the middle of the long front panel. Put one ribbon on top of the other and tuck them on the right side of the fabric facing the bottom of the bumper pad, just like we did before. 10. So now you have a really, really long piece of fabric that's open. 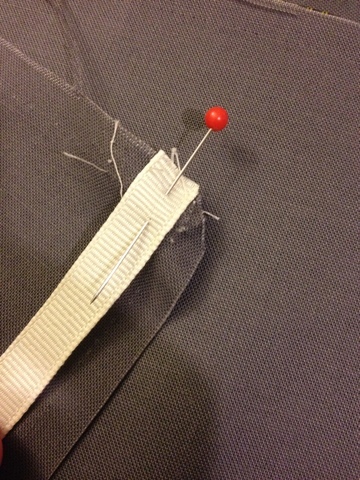 The next step is to pin one long side to the other, right sides together and do one long straight stitch. Check on your amount of bobbin thread before doing this so you don't run out in the middle of your long stitch because that's just annoying! And DON'T stitch the ends closed. Leave them open or else how are you supposed to get the bumper pad in? 11. Almost there! 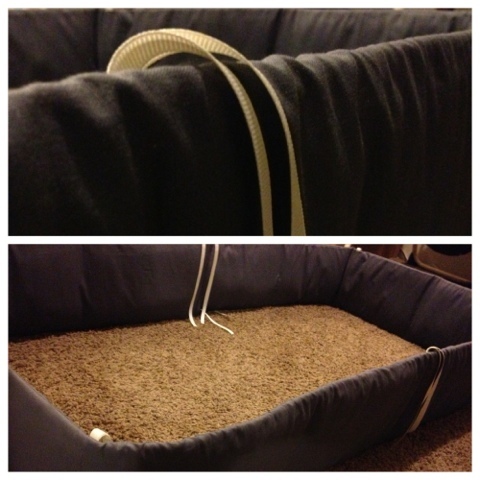 Turn your entire "tube" (bumper pad) right-side-out (and marvel at your fantastic job! ), grab a friend, and have them help you slide the old bumper pad in. You can do it yourself, but it's a lot faster/easier to do it with a friend. 12. Only a couple more steps! 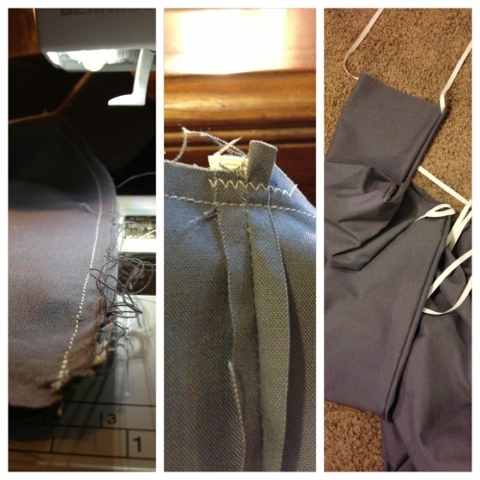 Fold in each side of your edges, then pin them together to make a clean edge. Now stitch a nice, clean, straight stitch. Make sure you don't get the ribbon! Finish both ends of the bumper pad. Wahoo! You did it! 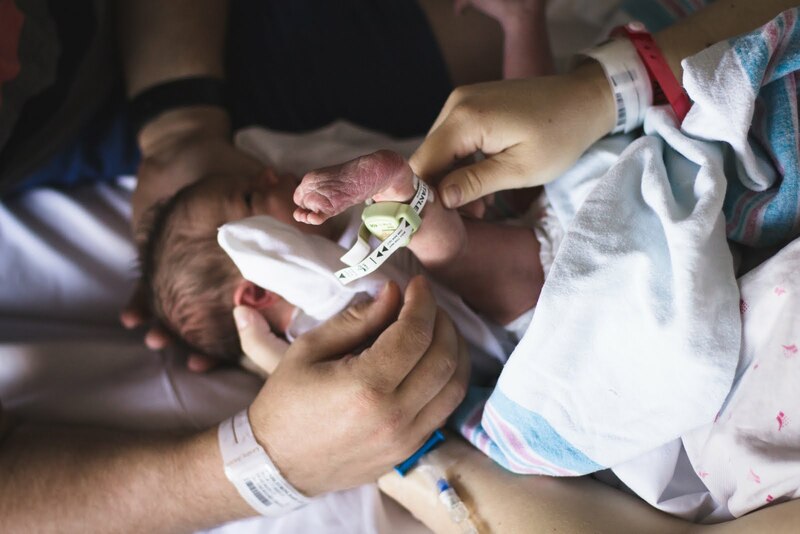 You now have your own customized crib set! 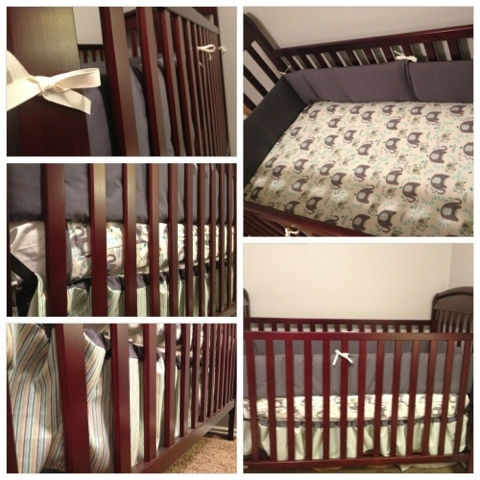 I'm kind of sad that I finished with this Crib Set Extravaganza! I had a really good time making this crib set and look forward to giving it to it's new owner, Emily and baby boy! Happy sewing!